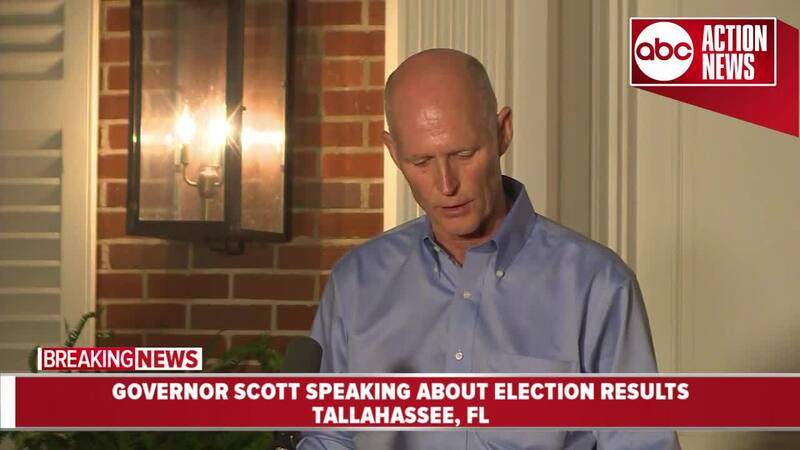 Florida Republican Governor Rick Scott, who is facing a potential recount in the Florida US Senate race against Democratic US Senator Bill Nelson, claims that thousands of election ballots haven't been counted, more than 48-hours after polls closed. 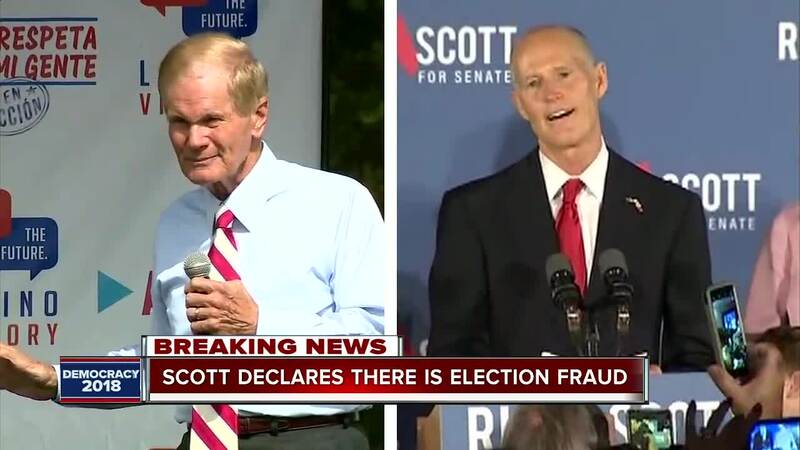 TALLAHASSEE, Fla. — Florida Republican Governor Rick Scott, who is facing a potential recount in the Florida US Senate race against Democratic US Senator Bill Nelson, claims that thousands of election ballots haven't been counted, more than 48-hours after polls closed. 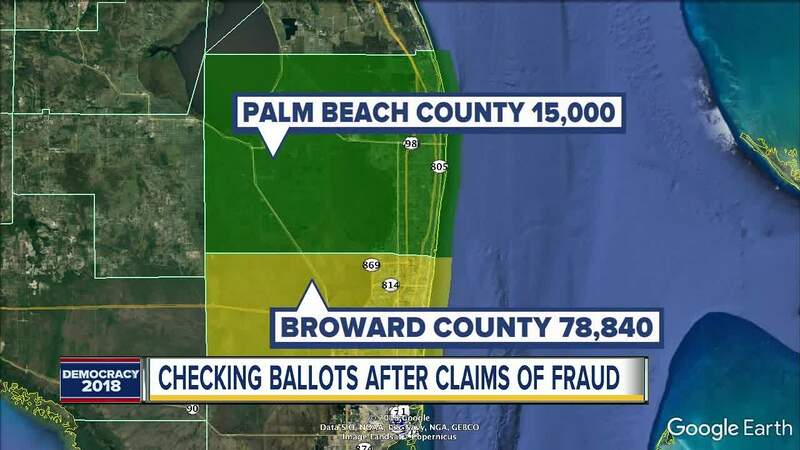 Additionally, Scott announced that he will be suing the Broward County Supervisor of Elections and Palm Beach County Supervisor of Elections over ballot counting, claiming that election officials are refusing to release public records. The two counties in question, are considered democratic strongholds in Florida. Governor Scott, using his authority as Governor, says he is calling on Florida Department of Law Enforcement to investigate the alleged fraud. A court hearing was held Friday morning in Palm Beach County regarding the lawsuit. Judge Krista Marx ordered Friday any ballot that the supervisor of Elections Susan Bucher or her staff throws out will need to go in front of the canvassing board. Marx also ordered Bucher to provide a list by 4 p.m. of everyone who voted by provisional ballot. Florida machine recounts are triggered when the margin between the candidates is below 0.5 of 1 percent. The Florida secretary of state has not ordered a recount, and his office said that would not happen until canvassing boards return their unofficial returns on Nov. 10. President Donald Trump tweeted about the alleged election fraud on Thursday night, writing in part, "Florida voted for Rick Scott!" Democratic gubernatorial candidate Andrew Gillum also responded to Scott following the press conference in a tweet, telling him to "count every vote." Two emergency hearings are scheduled for Friday in Palm Beach County and Broward County. The Palm Beach County hearing is scheduled for 10:30 a.m. and the Broward County hearing is scheduled for 3 p.m.
Over the weekend we will learn whether or not there will be an official recount. Story developing, refresh for updates.